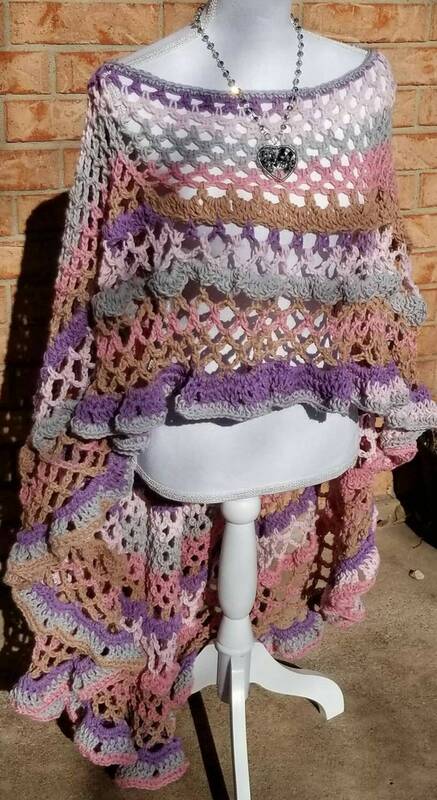 Lovely circular design combining circular vest and Poncho! My model is size small so top goes to below her waist. Large and plus size would go about bust level. Wonderful beautiful accessory. Hand-crocheted out of acrylic yarn. Wash and dry medium and gentle.